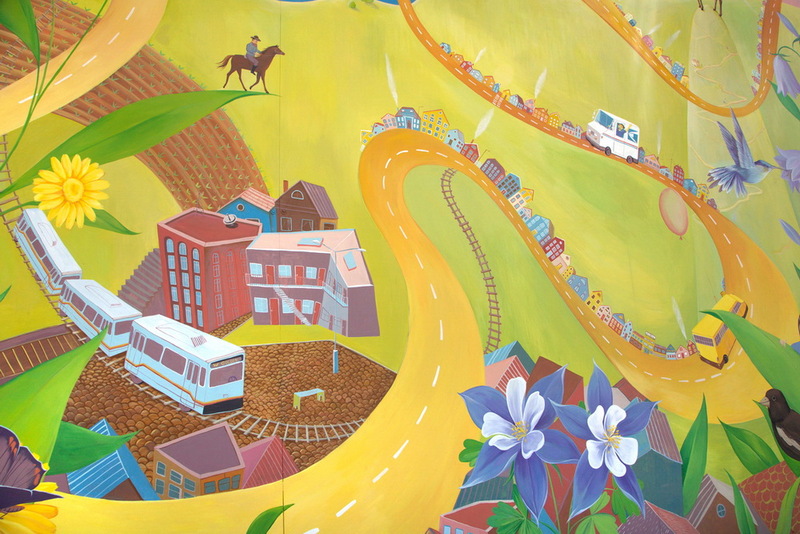 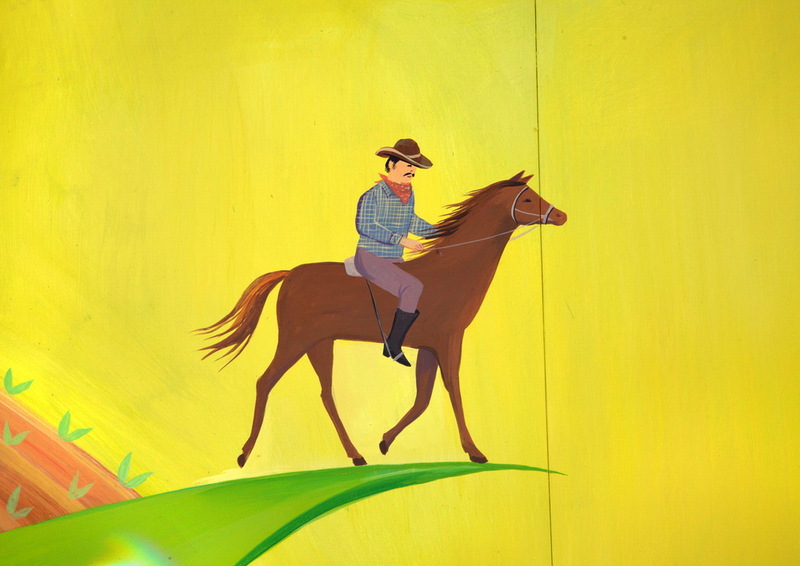 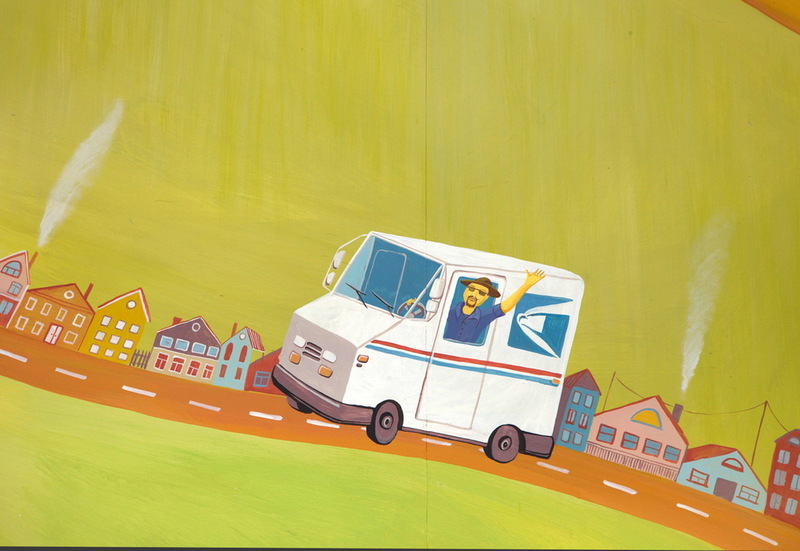 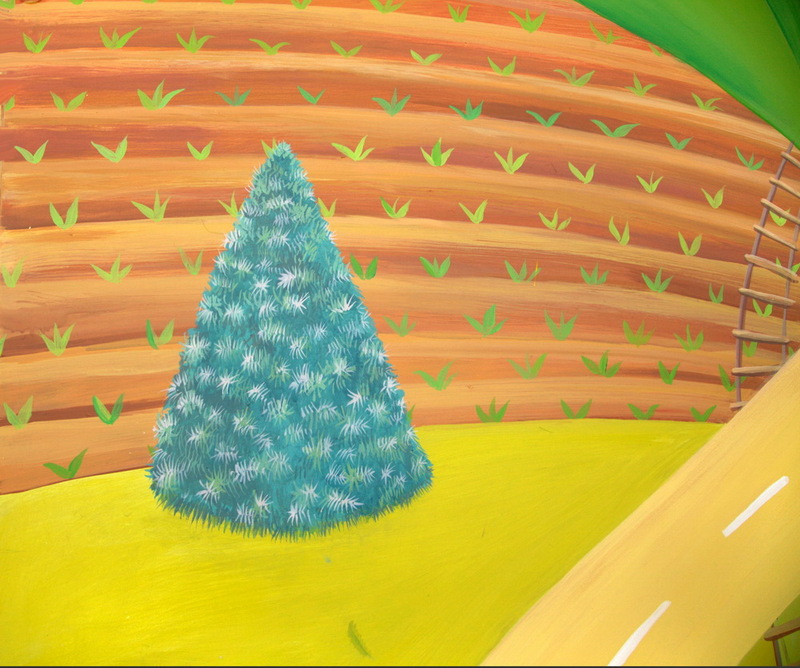 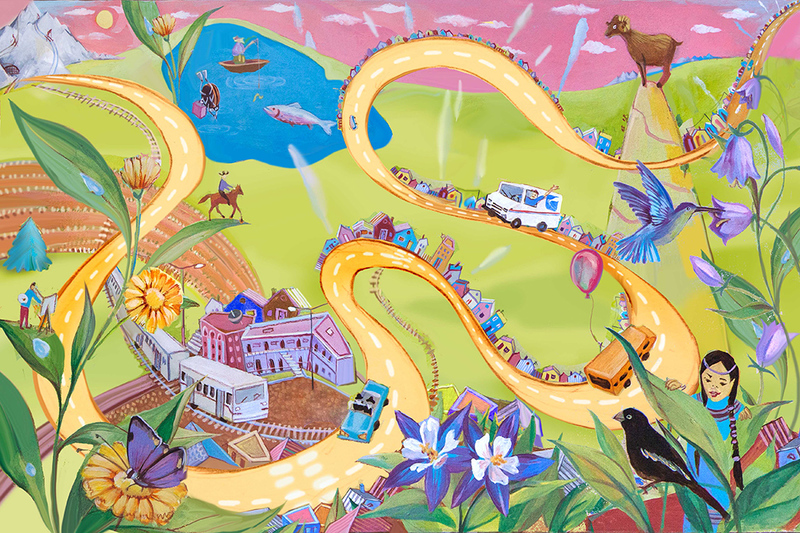 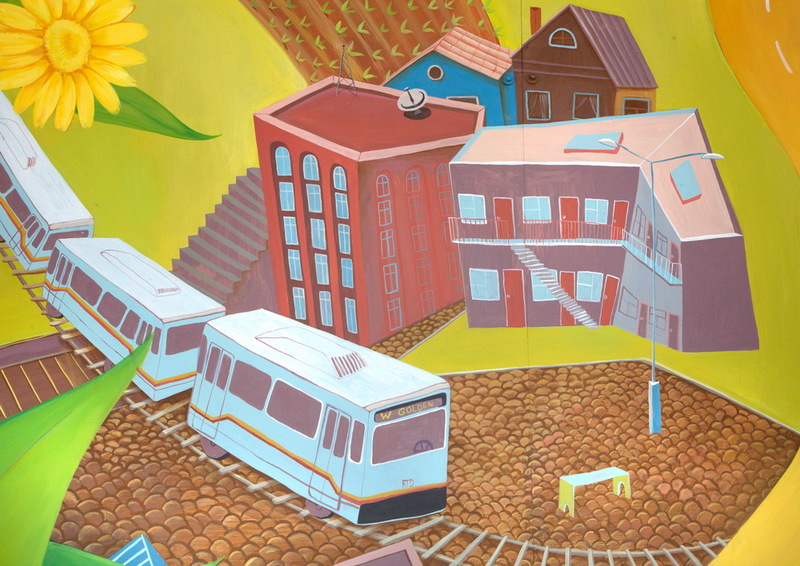 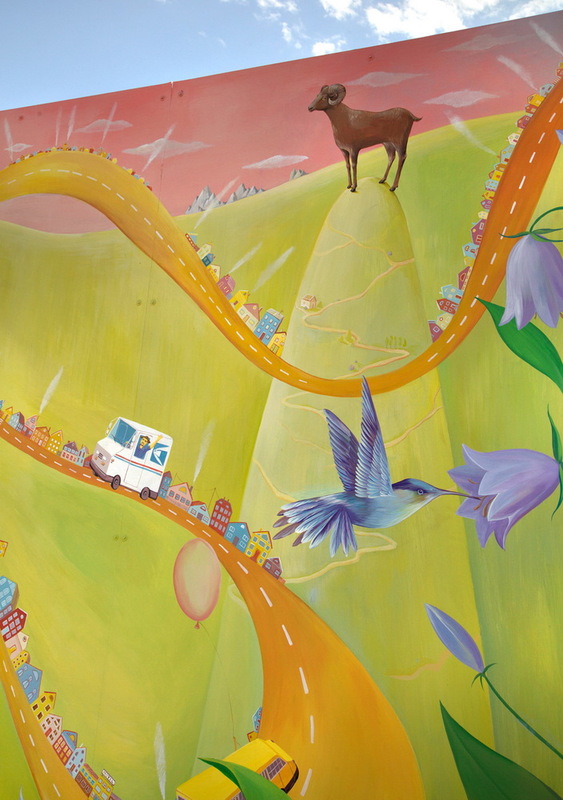 The mural depicts the west part of Colfax Avenue, America’s longest street. 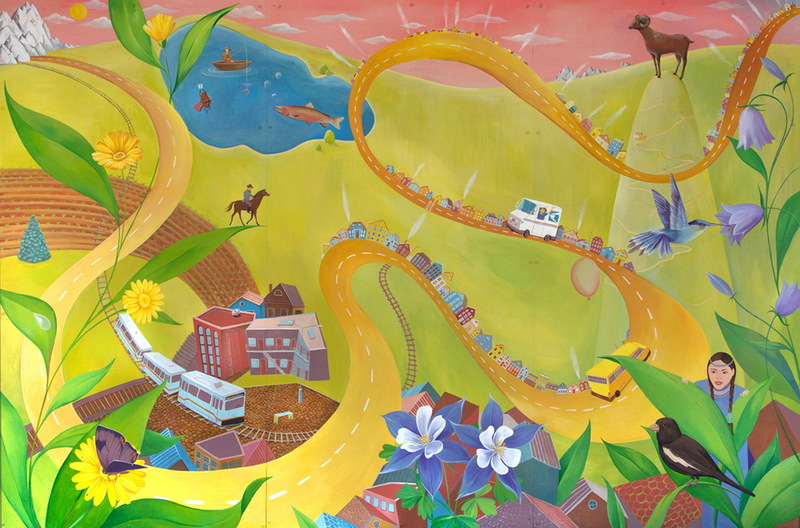 It was once called “The golden road” because it connected Denver and Golden. 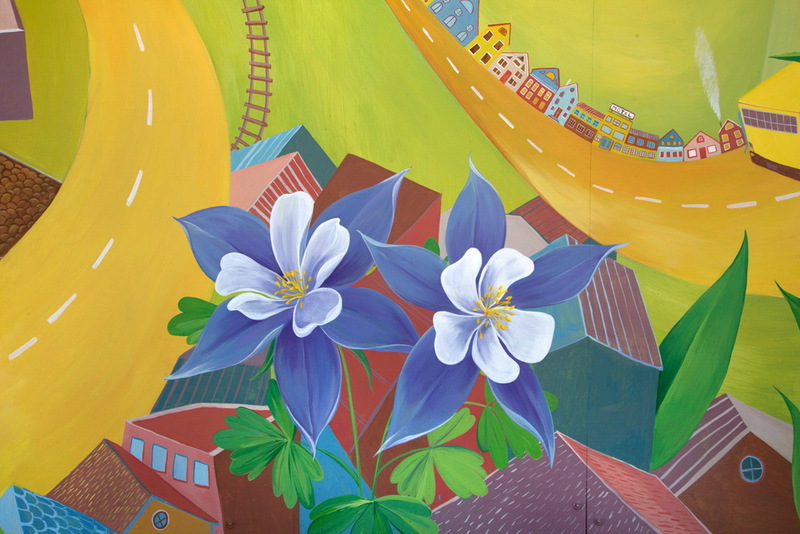 It displays many features of West Colfax avenue and symbols of Colorado. 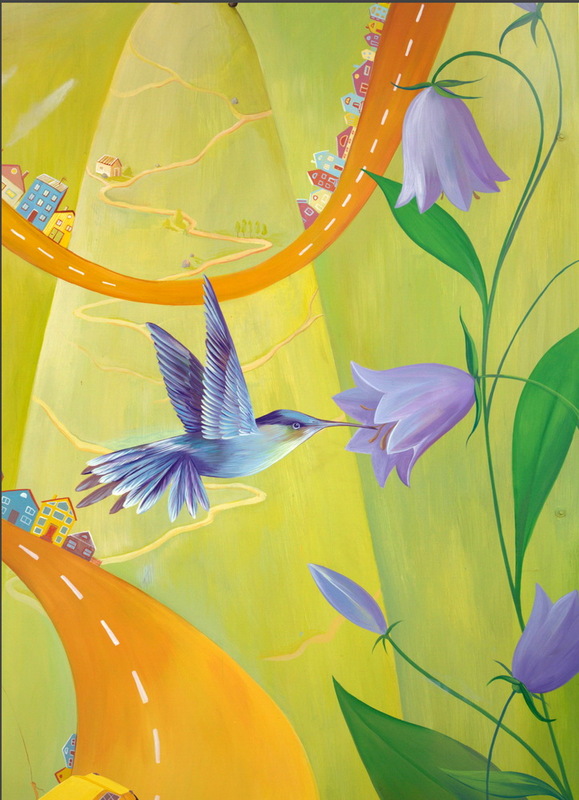 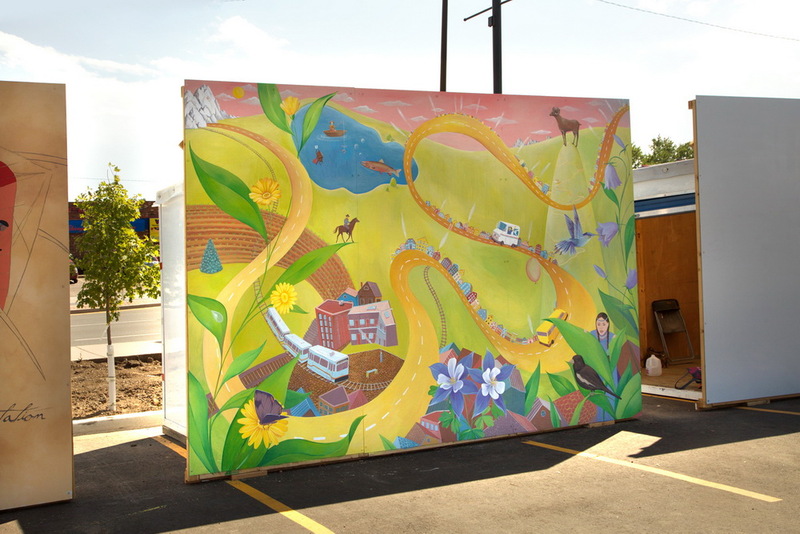 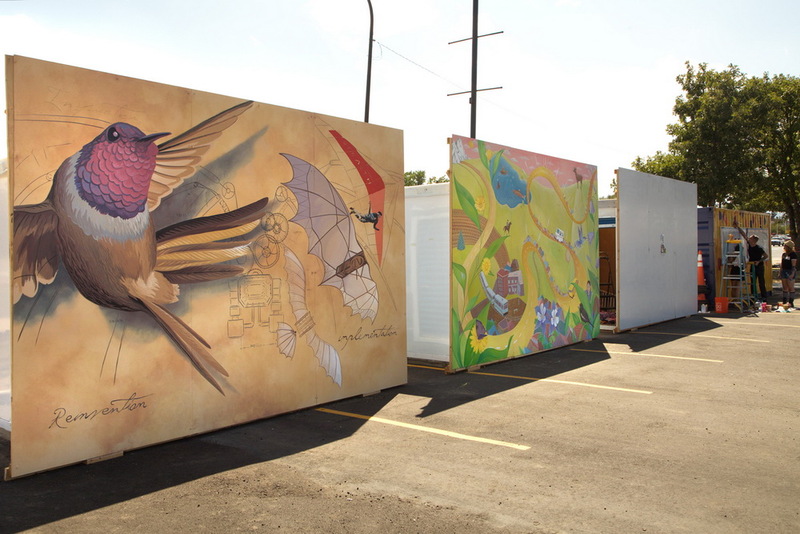 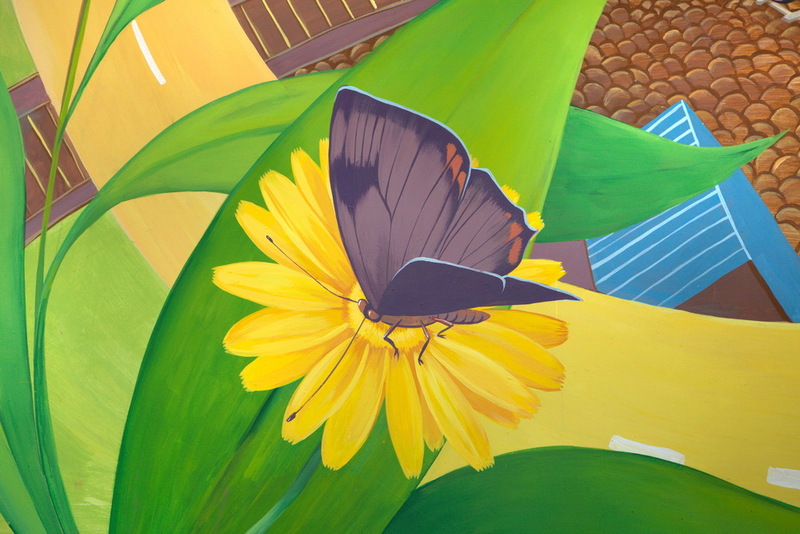 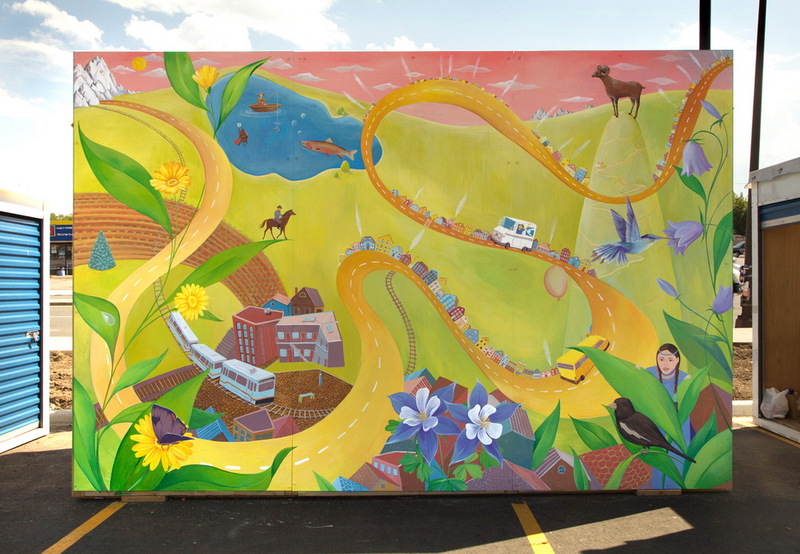 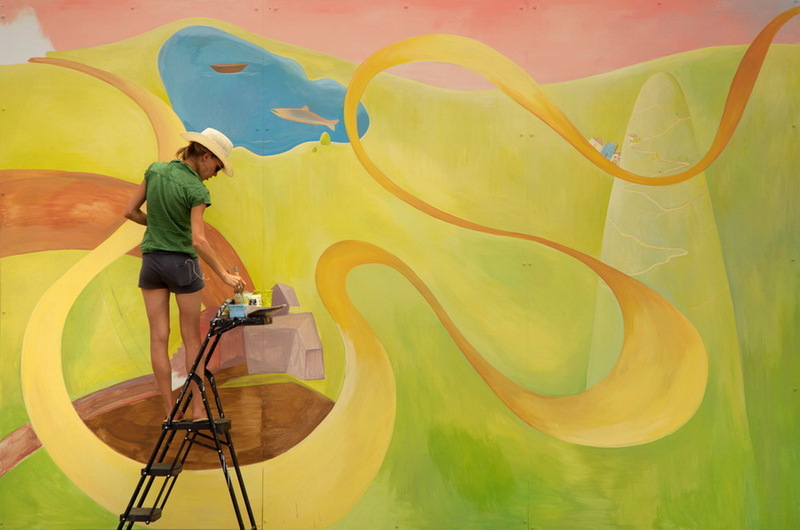 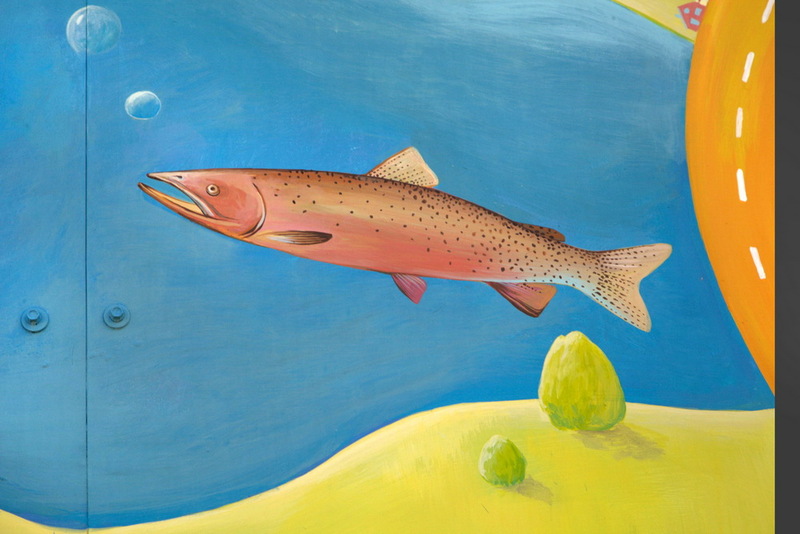 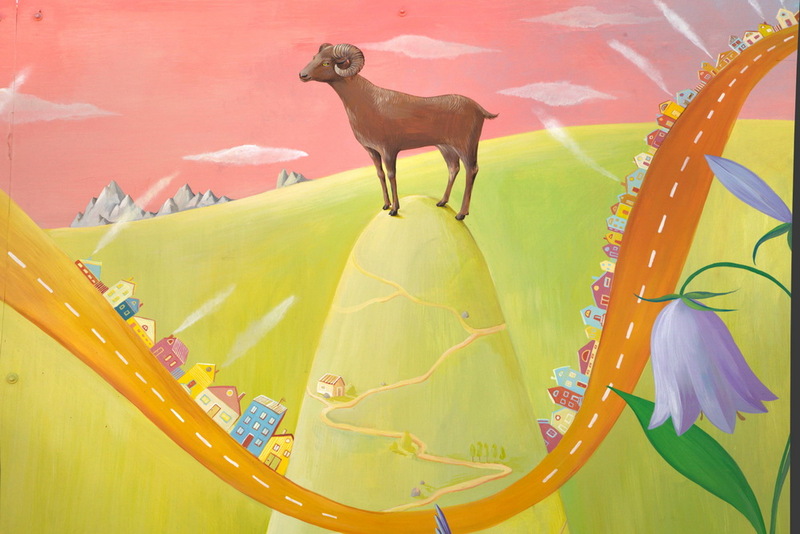 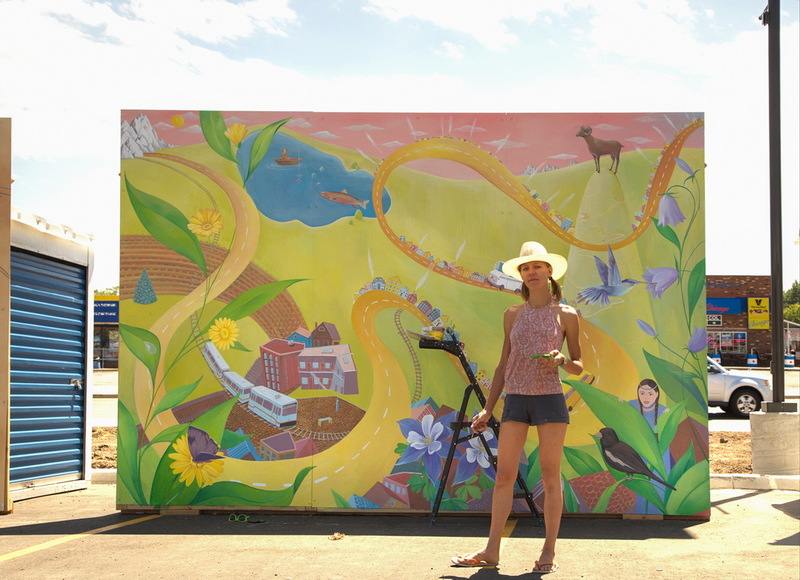 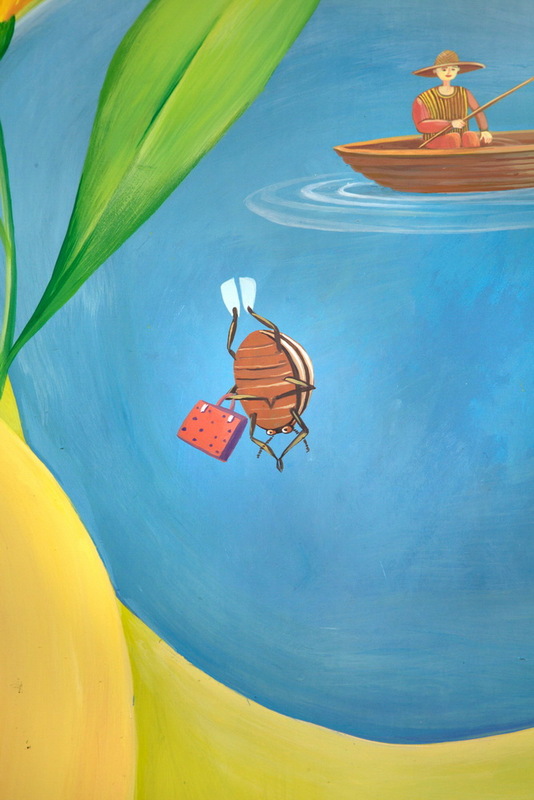 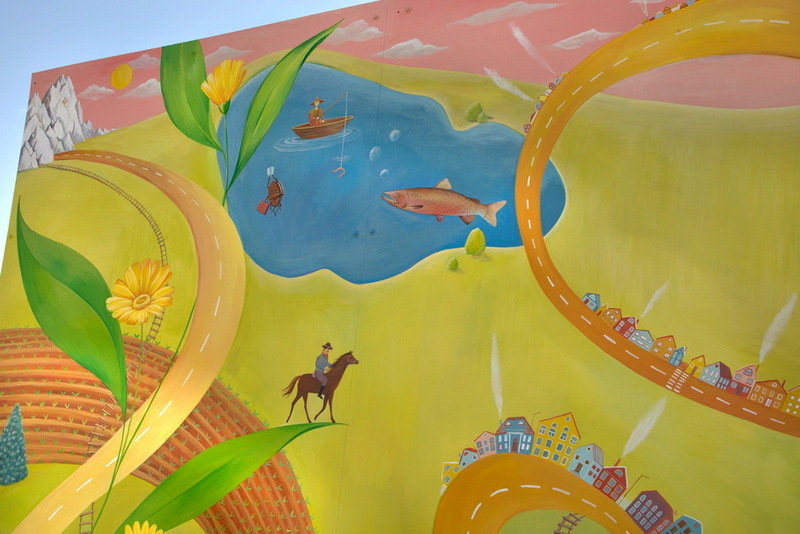 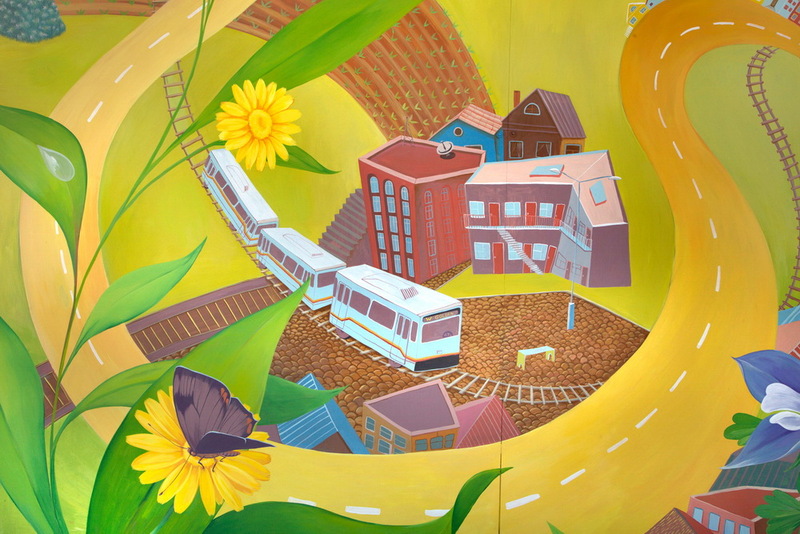 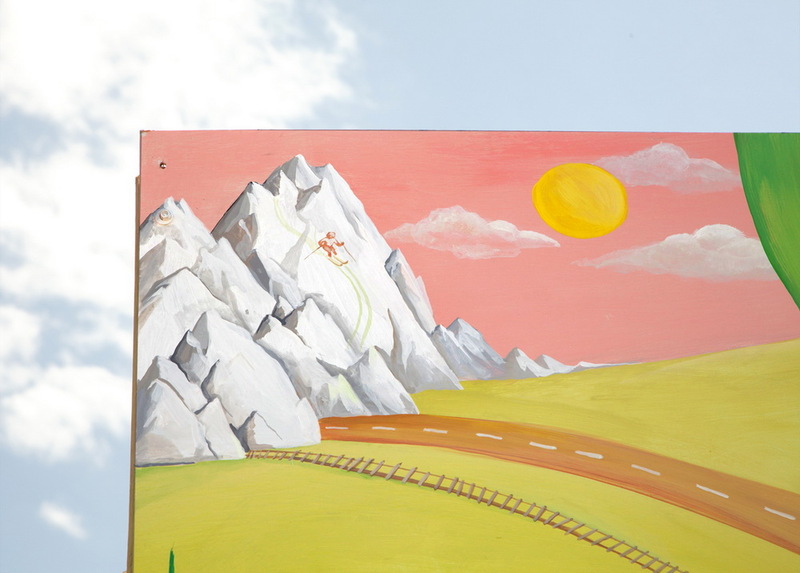 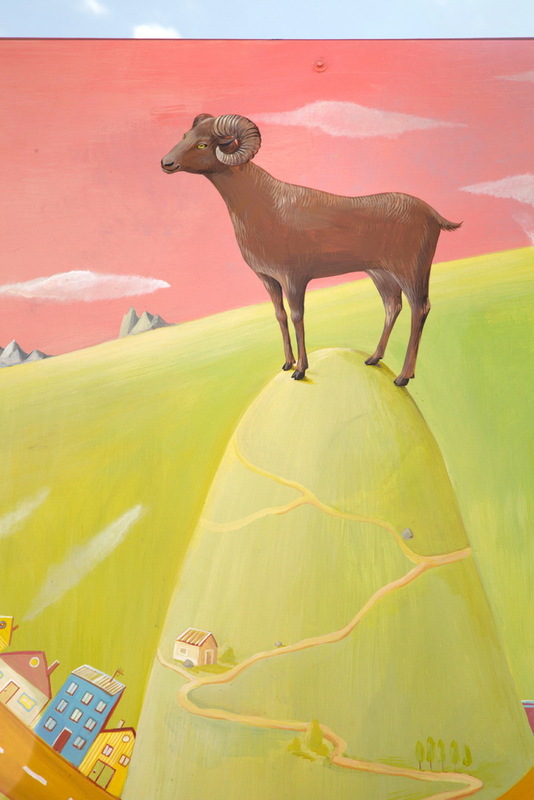 The mural was auctioned at the West Colfax Mural Festival. 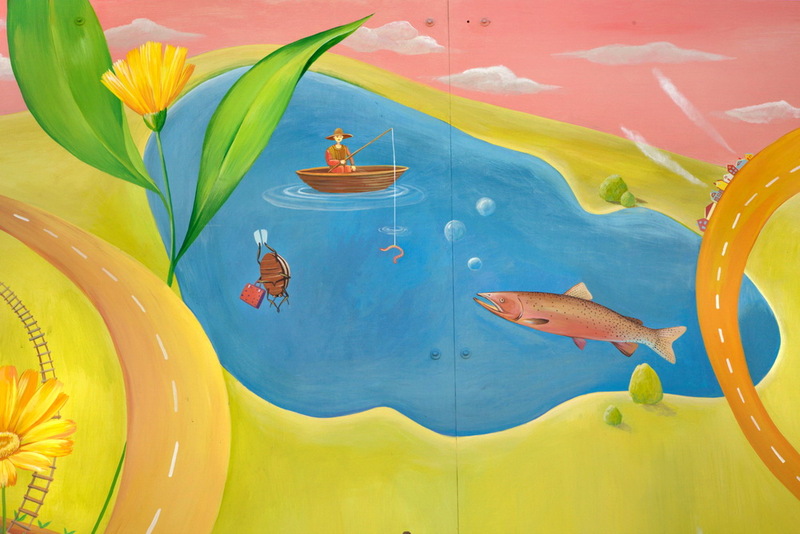 Please come back in few weeks to see the images of the mural at it’s permanent location.